ROCHESTER – The warm-up routine was a bit different for the MCC baseball team on Saturday. Instead of the usual jog, stretch, and throw, the players instead grabbed shovels and spent pre-game removing snow from a chilled Tribune Field. While it’s certainly not a process Monroe wants to replicate, it worked nonetheless. 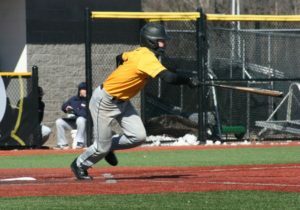 The Tribunes proceeded to pound the Utica College JVs 18-4 and 15-5 in a pair of games ended by the mercy rule. 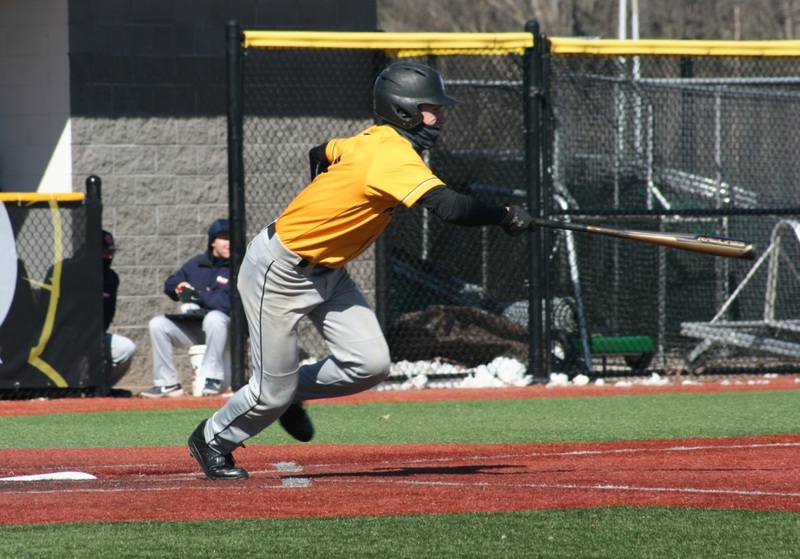 MCC (7-11) scored 10 runs in the bottom of the first in the opener and five in the same frame in the nightcap to open up early leads the team would not relinquish. The hot bats helped provide solace on a day where the winds were whipping a bit harsher than usual. Down 2-0 entering the home half of the first in game one, the Tribunes exploded for 10 runs on seven hits. The big blows were a two-run single by TJ Lucey, and a two-run triple off the bat of Cas Sobaszek. Nate Hampson went the distance to get the win. The freshman allowed three earned runs and struck out five. Martella-Tasick, Ferranti, Loew, and Jose Ramos all had two hits. Game two followed a similar script as the opener, with the Pioneers scoring two right off the bat. But once again, Monroe was ready with a rally. This time it was a five-run bottom of the first. Sobaszek plated a run with a single and Ferranti did likewise after a triple. Martella-Tasick capped the inning with a two-run base hit. Trey Brown was right in the middle of MCC’s scoring rallies all day. The freshman singled, stole a base and scored in the fourth, doubled in two runs and later scored in the fifth, and walked and scored in the sixth. He finished 4-for-4 with four runs scored and a pair of RBIs. Sobaszek and Ramos finished with two hits and two RBIs apiece in the nightcap. Maximo Fernandez went four innings for the win on the mound, striking out five and walking none.